Today a broad array of leaders from the Syrian opposition united under the umbrella of the High Negotiations Committee (HNC) will meet in Riyadh. The broad array of attendees will forge an internal consensus before next week’s UN-sponsored peace talks in Geneva. 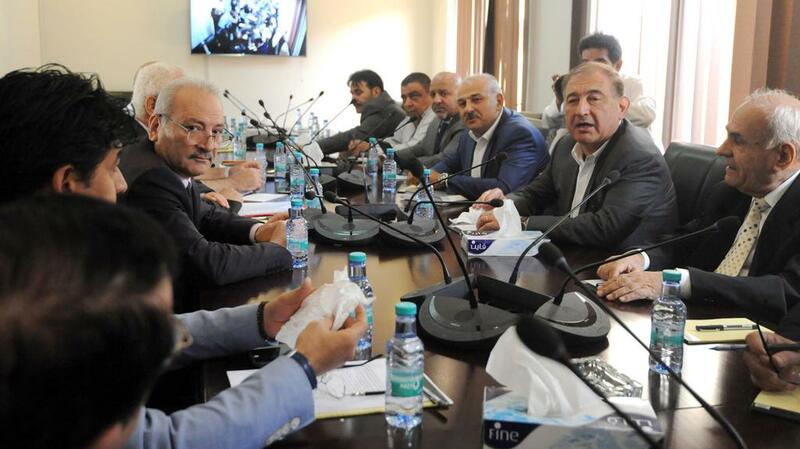 The opposition has suffered a pair of blows in recent weeks; they lost most of the north-western province of Idlib to a rival militia group, and former Syrian Prime Minister Riyad Hijab resigned from his leadership role in the opposition. Despite their dimming fortunes, the HNC continues to refuse any agreement that leaves President Bashar al-Assad in power. This puts them at odds not only with Damascus but also the HNC’s primary sponsor, Turkey, who has pushed for a power-sharing agreement and UN-supervised elections in which Assad would be eligible to run. With the balance of military power arrayed decisively against them, the Syrian opposition looks stuck between either accepting a seat at Assad’s table or being militarily crushed by his Russian and Iranian allies. They look set to choose the latter, dragging out the bloody civil war for years to come.